Betty Ensor Thomas ..... IF you like Freetime you will definitely like VIVA (Freetime's slip-on sister). It comes will all the comfort features that we are used to from SAS®. Viva is made of soft leather and the tongue area is padded for instep comfort. SAS EZ™ Gore holds the foot securely in place with no biting across the top of the foot when it is stationary or moving. 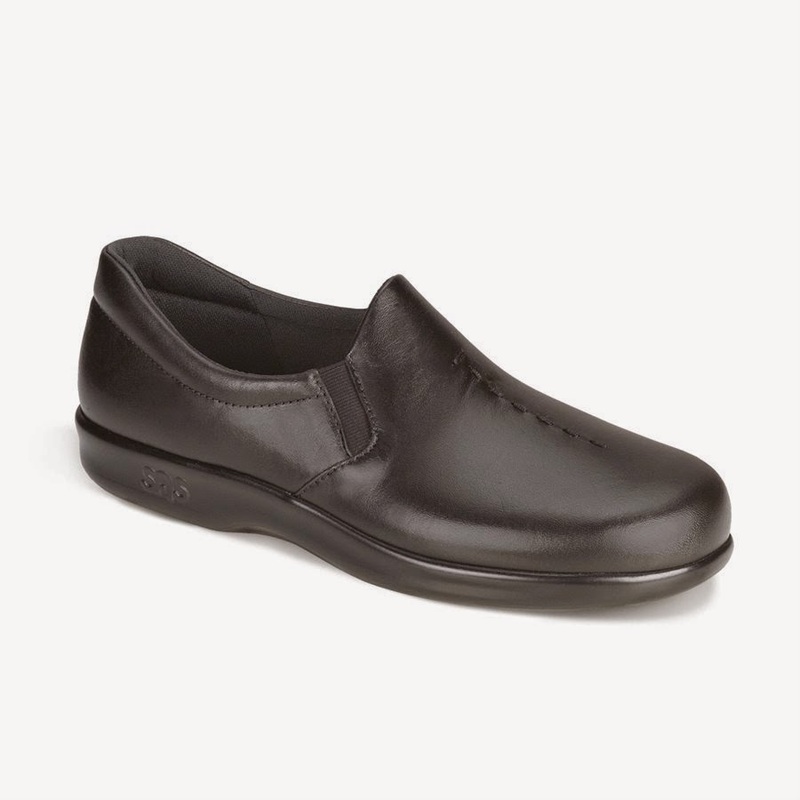 With a firm extended heel counter for stability and a No-Bite™ Padded Collar you can feel the support and comfort in this shoe. Viva comes with the SAS Selfset® Footbed that literally molds to the shape of the foot. This footbed is removable, washable and replaceable. Add the Lightweight Flexible SAS Supersoft® Sole (will millions of air bubbles) and the Soft Step® Heel with the wide base and Viva is a winner. VIVA is available in Black. NOTE: Viva is also available in Teak and Dark Brown Nubuck in limited sizes and widths. We will be happy to try to Special Order those colors for you.